California Drought Making "Toilet To Tap" Acceptable? Could California Drought Make "Sewage To Drinking Water" More Palatable? Governor Jerry Brown’s order for a 25% reduction in statewide water use has received a ton of attention for the things not included. Agriculture, for instance, isn’t subject to the order designed to help with the current California drought. And companies extracting water to put in bottles can continue to do so. No one’s mentioning sewage treatment, though, which no doubt accounts for millions of gallons each year… because that’s absolutely necessary just the way it is, right? 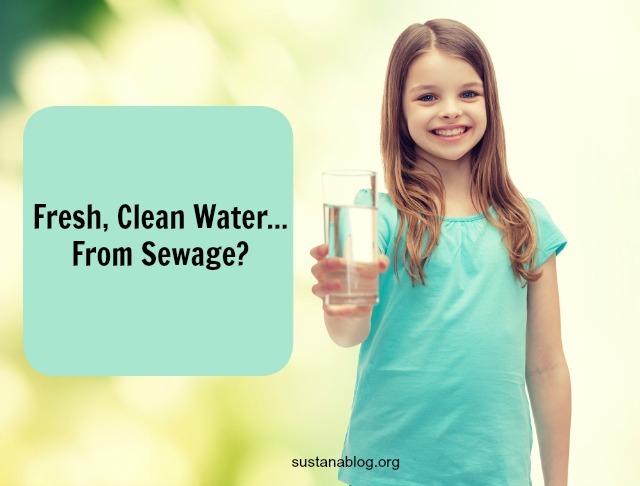 The concern at this point isn’t what you’d think: most get the idea that human wastes can be effectively cleaned from water (though the “yuck” factor is certainly still there). Opponents are more concerned about “trace quantities of drug compounds, hormones and personal care products found in wastewater and surface water”… for which there’s currently no regulatory structure. Yet, residents in nearby Orange County have figured this out, and – to my knowledge, anyway – appropriately treated wastewater hasn’t affected public health there. I suppose a middle ground of using such water only for non-potable uses might be an answer (especially if they’re exempted from the governor’s reduction order). This might also get people used to this idea, and ready to take the next step.